Together, there are 12 Lexus & Toyota hybrids available in the US. Say what you want about hybrid electric vehicles, but there is one thing you cannot deny: Toyota’s leadership in this emerging segment. Indeed, Toyota sells more hybrids than all other competitors combined, just this week passing the 5 million HEV mark. Of those, nearly 40 percent have been snapped up by American consumers. Toyota’s commitment to hybrids is well known, but perhaps not as extensively understood is its impact. The Japanese automakers count a global fleet of nearly 20 HEV models, including 12 vehicles sold as Toyotas and Lexus models in the United States. Toyota reckons that it has reduced CO2 emissions by 34 million tons since its first hybrids were rolled out in the 1990s. HEVs also consume much less fuel, with Toyota estimating that 3 billion gallons of gasoline have been saved. Toyota’s dominance of the hybrid market is best understood in its largest consumer market, the United States. Toyota and Lexus hybrids account for 70 percent of all hybrid sales. 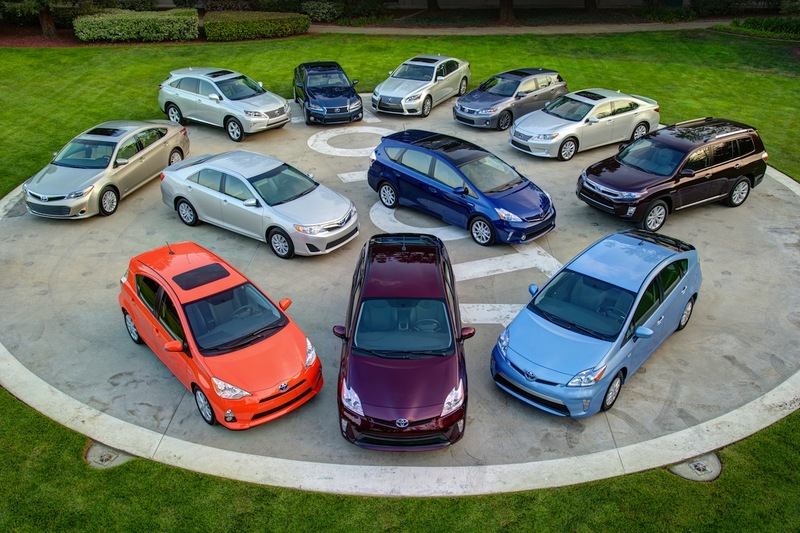 Hybrids today account for one of every six Toyota-built models manufactured globally. The first hybrid model to make it to the United States was the Toyota Prius. That model followed the year earlier introduction of the Honda Insight, but Prius is the model synonymous with hybridization because of its strong sales. Now in its third generation, the Prius model line comprises four vehicles including its first-ever plug-in hybrid electric vehicle. Much of Toyota’s work in the field can be traced to a collaboration the US Department of Energy’s National Renewable Energy Laboratory began with the auto industry in the early 1990s. From that effort, Toyota seized an opportunity to jump into a segment that saves “nearly 500 million gallons of petroleum annually in this country,” noted Tony Markel, senior engineer with the NREL, in Golden, Colo.
Toyota isn’t lifting its foot off from the hybrid accelerator, with plans to roll out 18 new or updated models over the next few years. Indeed, the automaker expects to build at least 1 million Toyota hybrids and Lexus models annually by the end of 2015, with approximately two-thirds of those vehicles to be sold in the United States. Toyota is also ratcheting up its hybrid manufacturing stateside with plans to build its Highlander Hybrid here soon. That model will join hybrid Camry, Avalon and Lexus RX 450h that are now built in the United States. Photo courtesy of Toyota Motor Sales, U.S.A., Inc.